InsideOut Solutions is very proud to announce the June 15 launch of a new custom responsive website designed for the Dude Ranchers’ Association (DRA). 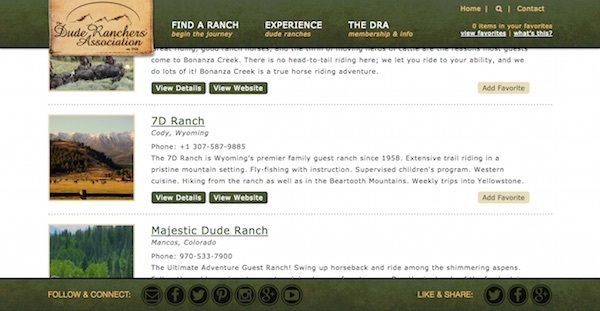 The DRA has been the governing body of the West’s Dude Ranch industry since 1926 and has been a premier web design and managed web hosting client of InsideOut Solutions since 2010. DRA Executive Director Colleen Hodson approached InsideOut Solutions president Pat McCauley with the association’s request for proposal, which also went to other vendors. Pat worked with design, development and internet marketing staff to put together a comprehensive plan to optimize DRA’s main online marketing tool with a complete redesign. Colleen gave the association’s approval and we were delighted that the DRA would continue its longstanding relationship with InsideOut Solutions. Colleen worked with lead web designer Beth Edwards to craft a new website layout that both updated the strengths of our previous design and streamlined out the limitations of its previous CMS. Design elements, from colors to placement were all on the table for updating. New photos were provided by the association for Beth to optimize for the website as part of this design refresh. Content was reviewed, evaluated, and edited as needed to meet the changing standards for responsive website design and the evolving marketing message of the DRA. Directory search and listing elements received the same treatment. Beth made some minor edits and, with final approval, handed off the project to be developed as a custom responsive website. 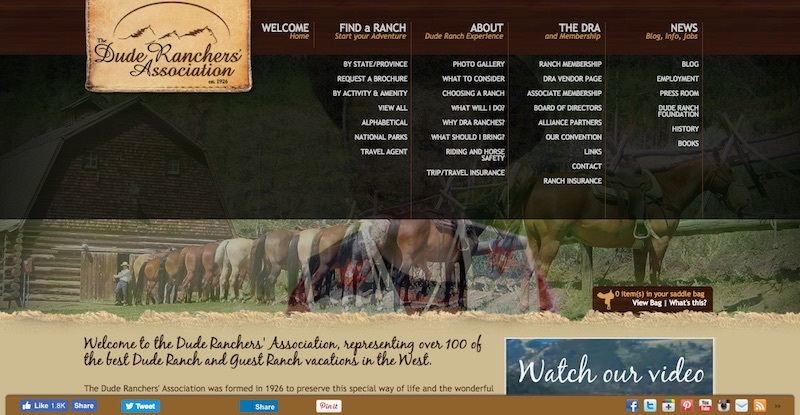 The Dude Ranchers’ Association website was developed in Laravel, an open-source PHP web framework. Laravel was chosen over WordPress, our standard open-source web Content Management System (CMS) due to its highly efficient data and resources management, which was the best choice to handle well over 200 pages, more than 100 ranch listings, and the migration of an already large WordPress blog of almost 450 posts, nearly 30 categories, and close to 650 tags. Working in Laravel allowed our web development team – Taylor Hasenpflug, Brad Doss, and Jack Waknitz – the chance to stretch and flex their coding muscles in ways that were simply not available in WordPress or the other CMS and PHP web framework options. 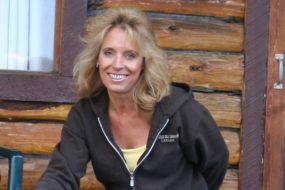 The result is a cutting edge website and content management system that makes it easy for the Dude Ranchers’ Association board, staff and members to maintain. The new website offers a sophisticated, yet less complex and cluttered, user experience. The largest change from the previous design was the simplification of site navigation. 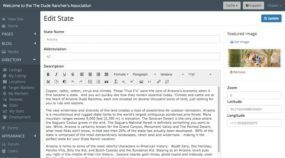 The previous website’s in-page analytics revealed that the extensive navigation options in the menu hindered, rather than helped users on their exploration of the website. This issue grew over time as DRA added new content and proves you can have too much of a good thing. BEFORE: Too many menu choices, displayed all at once, hurt the user experience. AFTER: Only the content most important to visitors was kept in the primary and drop-down navigation. 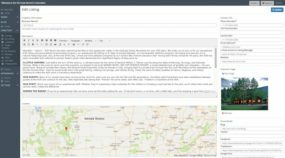 Find by State/Province – a location-based search that includes Google maps and selectable random or alphabetical sorting of member ranches. Find by Activity & Amenity – an advanced search form with custom filtering options that allows the user to tailor their search results to their needs and wants for a dude ranch vacation. Find by Proximity to National Park, Forest, Wilderness, Wildlife Refuge or Monument – as with the State/Province search, users are able to select either random or alphabetical sorting of member dude ranches. 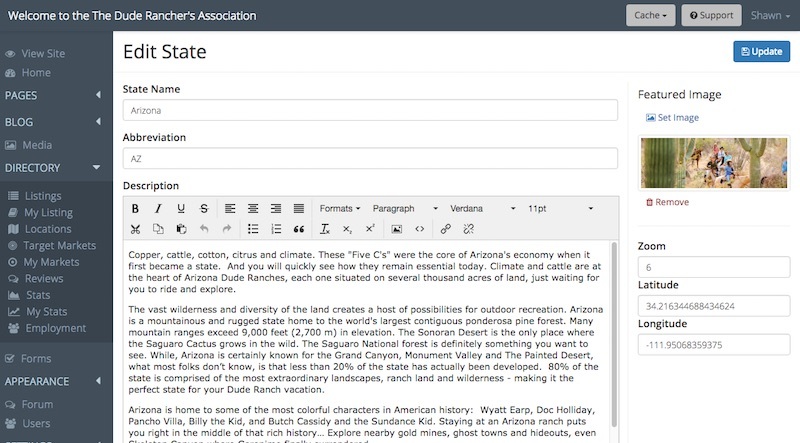 The content management system was designed to appear and function similar to a CMS already familiar to DRA staff – WordPress. 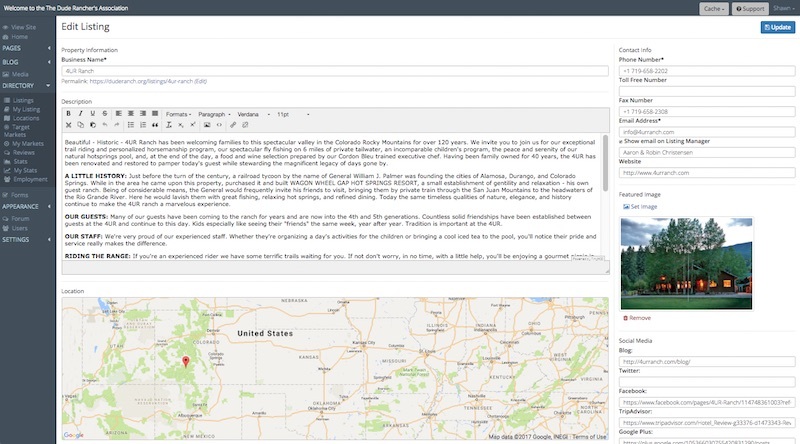 Site administrators have content management at their fingertips: pages, blog posts, directory listings, locations, target markets, employment listings, contact forms, and much more, including an all new feature: a forum for communication with and among members. 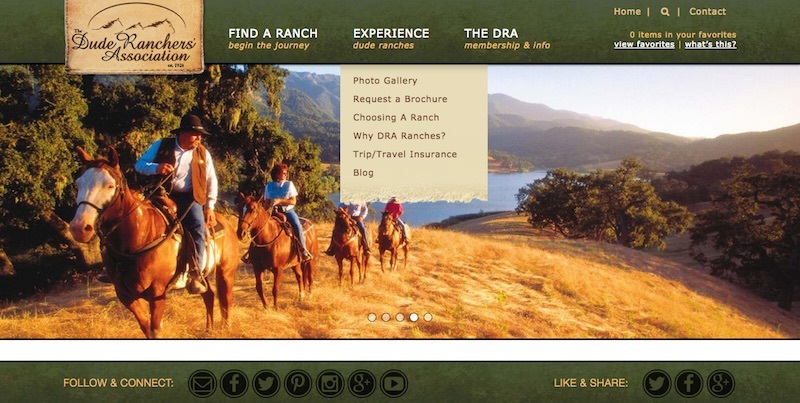 DRA member ranches have direct control of their listing, including all images, contact information, description, applicable amenities and activities, Google Map location, links, custom fields for everything from altitude to video embedding, and much more. 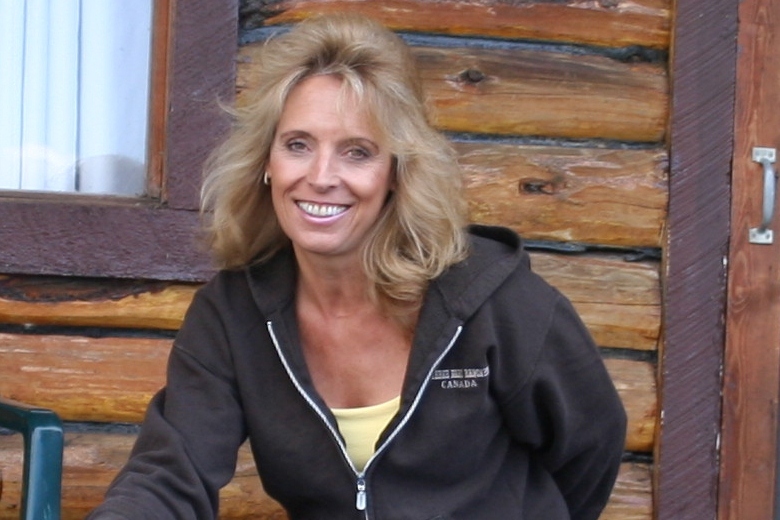 DRA member ranches manage all aspects of their own listing. 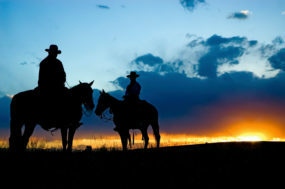 The dude ranch individual listings offer an in-depth overview. 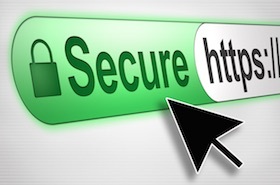 Google has acknowledged that SSL sites get a (so far small) boost in ranking. SSL sites encrypt data coming from and going to it and that’s of increasing importance in this age of internet security issues. It Was Quite a Ride – Thank You (Again) DRA & Colleen! 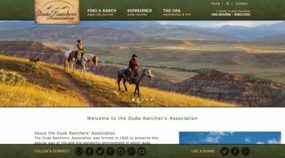 Months of effort, by both InsideOut Solutions and the Dude Ranchers’ Association, went into the new DRA website and it was a adventurous learning experience for both of us. 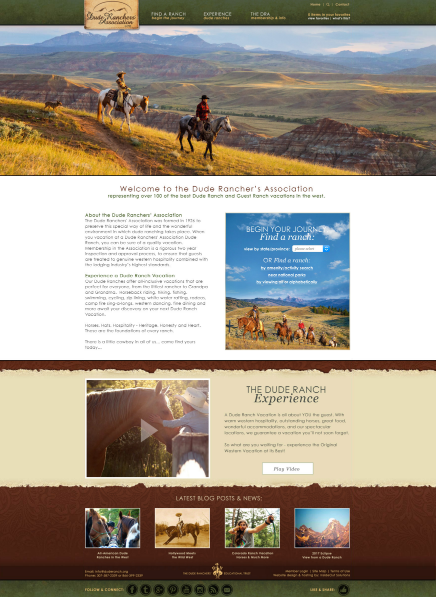 We were, are, and will remain forever grateful to DRA, Colleen and the association staff and member ranches for saddling up with us a second time to explore the opportunities this new website design provided. 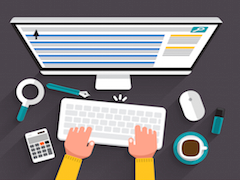 Is a Custom Responsive Website in Your Future? 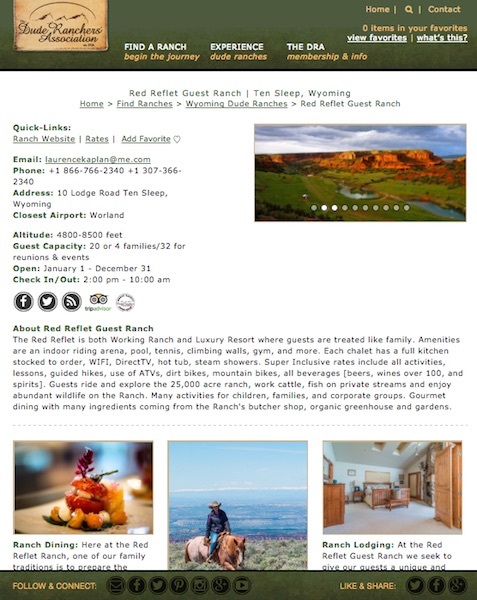 Contact us for a quote if your dude ranch or other distinctive lodging association is considering a new custom responsive website to move its online marketing forward.